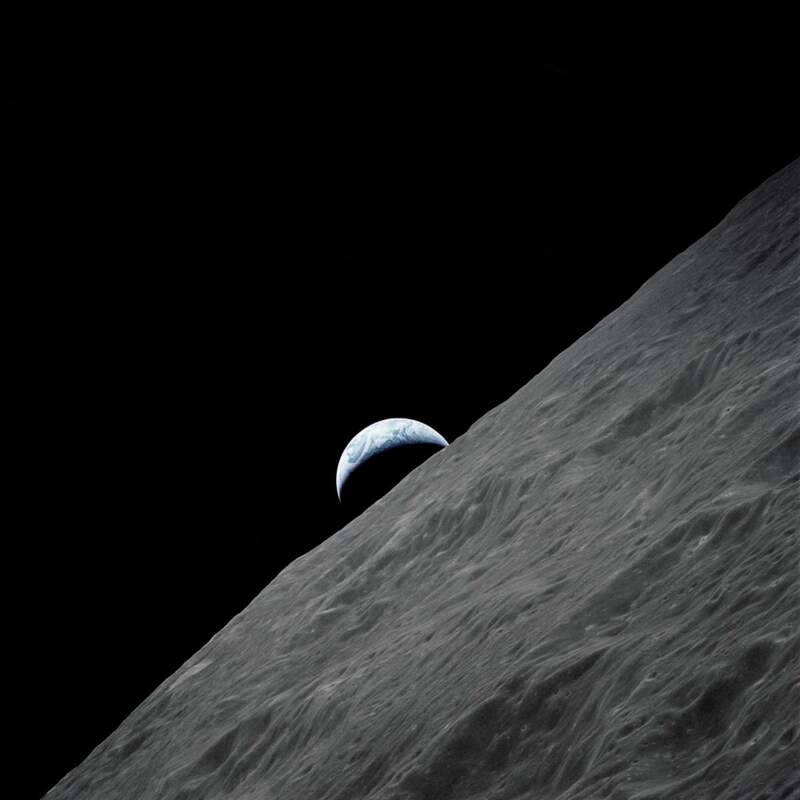 One of the most beautiful earthrise photos – the crescent Earth rises above the lunar horizon. This is a resized photo. You can see the original photo on the NASA website. Fun fact 1: if you were to stand still on the surface of the Moon, you would not see the Earth rise and set; it would still be in the (almost) same spot in the sky because Earth and the moon are tidally locked. Fun fact 2: Why the Earth would be in the almost same spot? Because the moon’s orbit is slightly elliptical. This gives us peeks beyond its average eastern and western horizons. Furthermore, the axis of the moon is tilted. So, the Earth would slowly wobble in the sky of the moon. If the Earth is just below the horizon, it would first slightly rise, then set, then rise again. That’s also why we can see 59% of the surface of the moon (not just 50%) from the Earth.